Witness Wolverine’s somber, heart-wrenching finale play out in black and white in the first trailer for Logan Noir. Set to be bundled in with the movie’s impending Blu-ray release – the James Mangold-directed X-Men pic will claw its way onto 4K, Ultra HD, DVD and Blu-ray on May 23rd – Logan Noir is shaping up to be everything the film’s monotone marketing campaign promised: a haunting, yet strikingly beautiful portrait of Hugh Jackman’s feral mutant in the midst of his final journey. One last time? One last time. Also included in the upcoming home video release is audio commentary by writer-director James Mangold, which ought to offer fans the chance to delve deeper into the creative process behind Logan and its gruesome, blood-drenched action sequences. You can thank Deadpool for the film’s R-rating, along with Hugh Jackman’s admirable decision to accept a pay cut early on in development. And you’d be hard-pressed to find anyone who doesn’t believe an R-rating was fitting for Wolvie’s swan song. 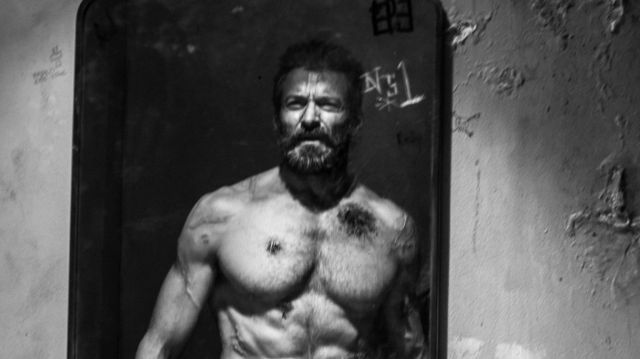 After all, previous Wolverine films have arguably lacked the bite and intensity of Logan, and it’s a credit to Mangold and the creative team that the violence on display never once felt gratuitous or poorly handled. Hugh Jackman’s final X-Men movie is rooted in a grim, dystopian world that’s almost completely devoid of mutants, and that lingering air of desolation and despair is undoubtedly amplified via Logan Noir. Here’s a reminder of those special features (have a gander at the deleted scenes here), along with WGTC’s Blu-ray contest. Remember, you still have until May 27th to pitch your name in the hat. Audio commentary by director James Mangold. Snikt! Logan will officially make the journey to Blu-ray and DVD on May 23rd.